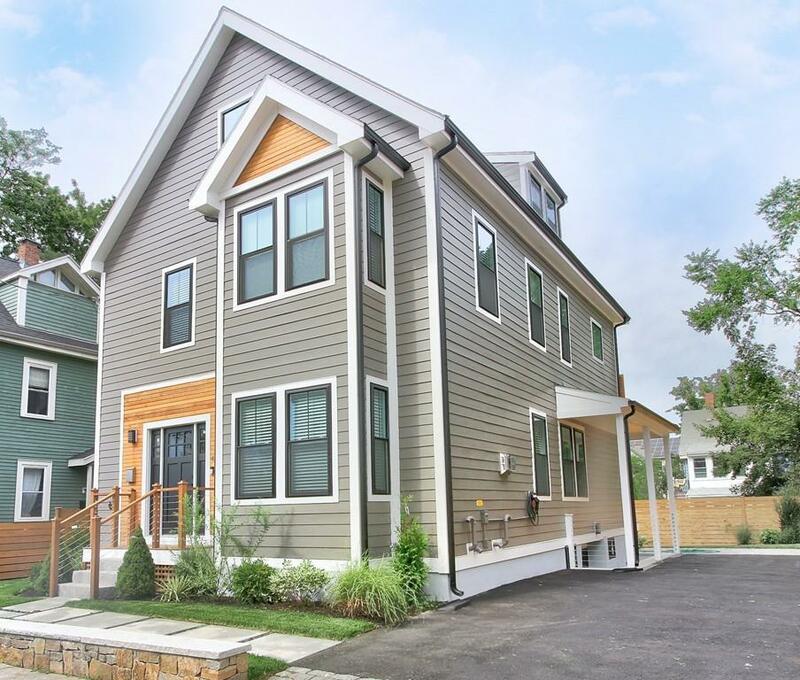 Masterfully renovated and thoughtfully designed luxury single family located in North Cambridge. Open living/dining room anchored with a custom granite fireplace surround. Kitchen is a chefâs dream with custom cabinets, quartz countertops, Italian glass backsplash, and an oversized island with 36â Wolf cooktop. Step out to covered mahogany deck overlooking landscaped garden. Second level holds the master suite with private deck, en-suite luxury bath with soaking tub, beautifully appointed marble with custom inlays and radiant heated floors, second bedroom en-suite, and laundry. Third level offers two additional bedrooms and a full bath with double vanity. On the lower level find a family/media room, additional bedroom and full bath. Double slider lead out to driveway and garden. Off-street parking for 3-4 cars. This quiet street is approx. a half mile from Porter, Davis and has a walk score of 86. Amenities include: Nest thermostats (4 zones), in-wall stereo system, and (EV) charger.